And now they can refuse to remain seated too?! What kind of anarchy is this?! Ahem. Nevermind. It was only a D Ticket for a little while. And anyway, as righteous indignations go, some research reveals that Disney back in the day had some real interesting ideas about how to divide up the ticket stock. In WDW’s inaugural year, the Main Street Cinema and Swiss Family Treehouse were B Tickets, Dumbo and the rest of Fantasyland (sans Small World and 20k) were C Tickets, and the Skyway and Riverboat were D Tickets. Okay, so now it makes more sense for the Swans, but I feel a little bad for the others who are lower on the scale (and also, Hall of Presidents was a D Ticket but Tropical Serenade was an E Ticket. Seriously. That was like giving Marisa Tomei an Oscar...or Frozen Ever After a THEA Award). Back on point, the Swan Boats were a nice little amusement of the type that the American Magic Kingdoms used to have much more of, and that one can see throughout many of the amusement parks in America. These are attractions that today would barely even be considered A Tickets, and only because they are slightly more exciting than sitting on a park bench. But these little A Tickets are necessary, I’m sure you’ll agree. We, as paying theme park guests, would like something to do during the middle of the day when even Sounds Dangerous has a 30-minute line (or, to put it in more contemporary terms, an attraction so far off the radar that it doesn’t even have MyMagic+). It’s a nice relaxing ride, a refresher, similar to small theater attractions like the Tiki Room but communicating with us on a different visceral level, since we are now outside, in the sun, and moving instead of inside, in the dark, and stationary. It’s a ride for kids who can’t go on Space Mountain and for moms who’ve ridden Small World TOO MANY DAMN TIMES. In fact, it also contributes to the atmosphere (seeing the Swan Boats sail around Cinderella Castle is quite lovely) and provides a touch of kinesthetics to the area as it moves down the waterway. Proponents of Walt’s System Method decry the loss of the Swan Boats, the Skyway, the Keelboats, and others for these reasons. "Where does this one go, Mommy?" "Who cares? It doesn't have a theme song." Ultimately, what sank the Swan Boats was simply a balancing exercise of opportunity vs. cost. The Swan Boats cost a lot of money to maintain, due to their fickle natural gas engines and unwieldy guidance system. By the time the ride closed for good, only 5 of the original 12 Swan Boats were in operating condition. The boats also had a low capacity and slow load/unload times. 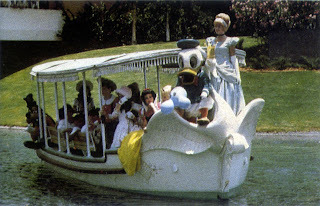 These, combined with the fact that the Swan Boats were a low-visibility attraction to begin with, convinced even the Attractions division old-schoolers that it was time to put the Swan Boats out to pasture, to go to theme park attraction heaven prepared for them. These types of attractions, throughout amusement park history, are often the ones to get euthanized first, usually for the same reasons as the Swan Boats. 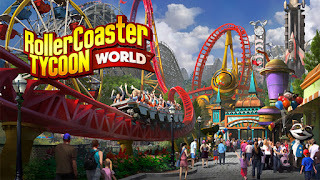 The metrics are different in the amusement park world since the demise of the Ticket Books and the rise of the all-inclusive day pass, since it is now demanded that smaller attractions demonstrate their net worth or else risk the hangman’s noose. It is a fascinating world they live in, always balancing precariously above a quantifical black hole. Most don’t make it. Like Animal Kingdom’s old Discovery River Boats. The Discovery Boats is another attraction that, like Superstar Limo, made this list despite actually including the notoriously annoying feature of actually being built. I will be including many “original” versions of attractions on this list, simply because I think it’s fascinating to learn the history, business, and politics involved in turning a once-promising idea into a product that is the entertainment equivalent of a botched Star Trek Transporter experiment. The Discovery River Boats debuted with the opening of Disney’s Animal Kingdom on Earth Day, 1998 (Disney used to do these cool things called “advanced planning” and “practical synergy”). 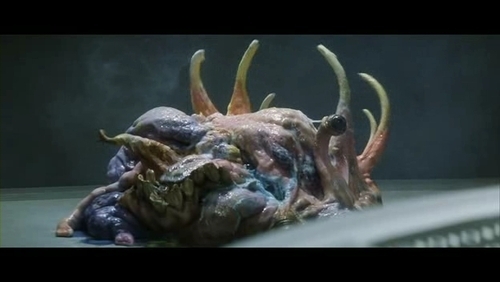 It was a somewhat curious specimen, in that it combined a traditional attraction with a transportation element. The boats picked up from a dock on the Discovery River in between Discovery Island and Dinoland, then traversed down Discovery River encircling the Tree of Life (past Camp Minnie-Mickey and Harambe) before stopping at the Upcounty Landing dock in Asia. From Asia, the boats would sail through the lake area across what is now Expedition Everest, past Dinoland, and back to the Discovery Island dock. In a nutshell, the river boats were sort of trying to be the Animal Kingdom equivalent of the Disneyland Railroad. As you can see, the ride was pretty pointless, but mostly harmless and unpretentious, something you might see once on a trip to Animal Kingdom but no more. So why did the Discovery Boats disappear without a trace less than a year and a half later? Is this something for the X-Files? Actually, it might be. As contradictory and confusing as it is, it was the River Boats’ popularity that got the dominoes falling. That’s right. POPULARITY. For some reason, like the cornfield baseball stadium from Field of Dreams, everyone just had to ride the Discovery Boats. I’ll bet most of them couldn’t even explain why they were in line to begin with (and this was before Fastpass+, so they couldn’t make that excuse). But, line up they did. The lines at the Cast Member previews were 45 minutes long, and on busy summer days during Animal Kingdom’s first year the line would reach up to 75 minutes. For the Discovery Swan Boats. 75 bloody minutes. This means I'm going to miss the finale of Downton Abbey! I’m sure the Disney executives were as dumbfounded as anyone else. There’s no way that this should have a line of any kind, much less one more than 20 minutes. It doesn’t even have a weird and unique transportation method like the Skyway or the PeopleMover…it’s just a boat ride! What’s going on?! The Discovery Boats just had too many factors working against it. First, it didn’t have a gang-busting THRC. 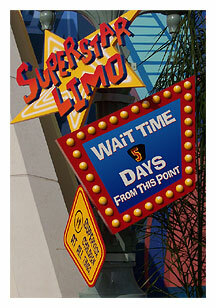 The capacity of the attraction was minimal and load times were slow (similar to the water launches from the Magic Kingdom Resorts), indicating Disney did not anticipate demand. Even though it seems puzzling on the surface why the attraction had such a high demand, it should have been obvious that A) Animal Kingdom had very few attractions to begin with, and guests were looking for things to do, B) The River Boats were the first attraction the guests see as they walk in from the Oasis, creating a “Spaceship Earth” effect of “lazy tourist walks into every ride in order” (okay, okay, so I do that when I visit Kennywood. Don’t make a federal case out of it), and C) Discovery Island was originally called “Safari Village,” and caused many people to think that the Discovery Boats were some kind of safari (which, as we know by now, has the same cache to Animal Kingdom visitors as a new car on The Price is Right). Seriously. Hey, it can be both! 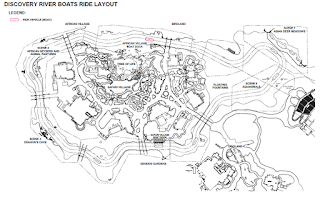 Anyway, Disney didn’t help the matter when they couldn’t decide whether the Discovery Boats would be transportation (multiple stops) or attraction (closed loop). They would have guests who waited 75 minutes be taken to Asia and then told to get out, to wait another 75 minutes to go down the other half of the river. The Animal Kingdom Guest Relations staff did not have very much fun in those first few months. Anyway, all these factors combined to make the Discovery Boats the second most loathed attraction at Animal Kingdom, behind Habitat Habit. Guests ceaselessly complained that there was very little substance on an attraction they waited over an hour to see. And they weren’t wrong. So what did Disney do to try to fix it? Not surprisingly, very little. Instead of replacing the attraction with something snazzier (since a potential safari-themed boat ride was obviously a very popular idea among guests), Disney thought the solution was to…add an animal trainer to the boats. Yep. That’s it. That’s what was missing! I would be totally fine waiting an hour if I could just be shown a Tarantula up close (said no one ever)! Yeah, the confined space inside the boats meant that the animal trainer would only be able to carry around small, caged animals like spiders and snakes. And that went over about as well as you can imagine. 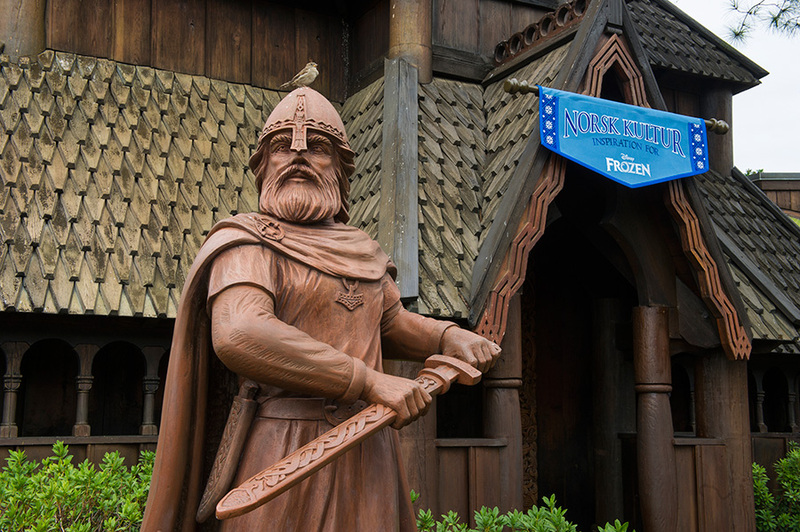 So, after Disney’s herculean effort to fix things, they went to the traditional Animal Kingdom, Plan B, which was: change the marketing on the attraction and re-name the ride! We like to call this the “Nahtazu strategy.” Certainly that was the missing ingredient. If you tell them what to think, they’ll have no choice but to think the way you want them to! The Discovery River Boats became the Discovery River Taxis in November 1998, to tell those pesky Disney guests once and for all that it's a transportation attraction, and nothing else! Can you guess whether or not it worked? I mean, when Disney sticks its fingers in its ears and starts yelling at you, you have no choice but to bow to its wishes, amiright? So it was on the Plan C, which, at the time, meant SYNERGY OVERDRIVE. In the late 90s, Disney was in runaway synergy mode, which made it feel like every ride, attraction, and park bench had to have some sort of sponsor or movie tie-in. It literally was out of control. This is what led to the Monster Sound Show and Superstar Television being replaced by the 101 Dalmatians Sound Effects Demonstration and Doug Live. And why we almost got the George of the Jungle Cruise and Journey Into Imagination almost got turned into a ride based on Flubber. All this was real, I promise. So Synergy Overdrive, like Red Kryptonite, got its hands on the Discovery Boats and turned it into (I am so not kidding), the Radio Disney River Cruise, hosted by Just Plain Mark and Skippy. Yes, this was real. From the brains behind Imagination and Beyond Tomorrowland which, also, coincidentally, had a Radio Disney music booth underneath the Rocket Rods in the traditional Lunching Pad location. All this was real, and we’re somehow all still alive. Seriously, Disney thought by blasting Britney Spears and the Backstreet Boys as you’re gently sailing down Discovery River, this will somehow make guest complaints go down. Wuh? Anyway, the thing we should keep in mind throughout this whole process is that it’s not good when a ride/attraction with ride vehicles which, you know, take you somewhere, is focused on keeping your attention on anything BUT the atmosphere (*cough Spaceship Earth cough cough*) you know something has gone horribly wrong. So far Disney has tried to fix an attraction that has a notorious lack of atmosphere not by improving said atmosphere but by focusing your attention away from it like it was painted go-away green (*COUGH SPACESHIP EARTH SHAME ON YOU COUGH COUGH*). And for the Radio Disney Cruise, they actually created an attraction so pointless that you literally could have exhumed Frank Sinatra and have him walk around the boat and it still wouldn’t have generated interest. I mean, why would you create an attraction that is so wildly, blatantly out of place and against every thematic and tonal principles of the park? Predictably, the Radio Disney River Cruise didn’t even last six months, and the Discovery River Boats closed for good in August 1999. The docks can still be viewed and visited as character greeting locations, and the boats themselves, after persistent rumors that they would show up as part of the transportation package for Tokyo DisneySea, were never seen again. So how did we get to this point? What convinced Disney back in the day (before the Pressler Era where pointless rides were expected and welcomed) to greenlight such a turkey? Well, as you can imagine, the original version of the Discovery Boats were much more interesting than what actually ended up being delivered. 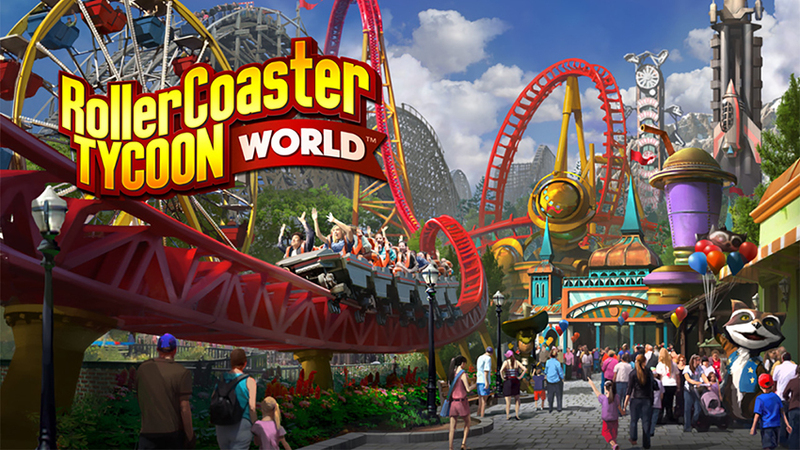 The sad part is, the ride concept itself wasn’t too different than the final version, but it would potentially fix the main mistake of the attraction, which was, you know, actually giving the guests something to see. To start, it should be noted that, in the few eyewitness testimonies that we have, the Discovery Boats were NOT part of the initial designs of the park that were made in Summer 1993. That’s really neither here nor there, but it’s interesting to note that the ride was actually not part of the initial plan. However, it was in the plans early enough when The Oasis was still called Genesis Gardens, and Discovery River was still called Safari River. So the plans do go pretty far back. So, from the Safari Village/Genesis Gardens boat dock and past one or two turns in the river, we come to our first major show scenes, which would be the Beastlie Kingdomme section (Noted on the map as Scene 3…not exactly sure what happened to Scenes 1 and 2). In the real 1998 version, this is where we see a dragon’s cave, hear a dragon roar, then see fire and smoke belch from the mouth of the cave. 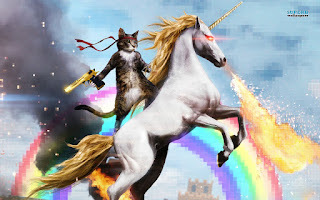 But in the original version, where Beastlie Kingdomme is full blown and watching a dragon strut down the street is about as common as seeing someone dressed as Macho Man Savage at Wrestlemania, we’re going to get a super mega-colossal version of the dragon’s cave. But it’s too late. A full, giant-sized dragon, based on the gigantic sleeping dragon underneath the castle at Disneyland Paris, thrusts itself out of the cave and blows fire, roars, belches smoke, and acts in a very dragon-like fashion. It would have been quite a stunning scene, with a full-sized second generation dragon Animatronic. Following the dragon attack, we meet the second member of our two-headed monster parade. As the boat passes Beastlie Kingdomme proper, the skipper is again afraid, because it’s been rumored that the Kraken swims in the waters surrounding Beastlie Kingdomme. Sure enough, before long the water around the boat starts to bubble, and the boat starts to shake. The fins of the Kraken rise up above the water. The boat finally passes through after much water spraying and boat shaking from the Kraken. Upon leaving Beastlie Kingdomme, the boats enter into an area covered in mist. The skipper informs everyone that mystical creatures are said to walk around the riverbank in this area, especially…the unicorn. On cue, we look up to a jutting rock formation, where an Animatronic unicorn presents itself and neighs to the passing boat. The boat, of course, slows down so everyone can take pictures of the very beautiful unicorn as it smiles and, I dunno, sneezes rainbows into the sky or something. Whatever unicorns do. This is all included in the Beastlie Kingdomme section of the tour. Passing into the Africa section on the map, we come to Scene 4, which is similar to the final attraction in that it will feature a group of impressive geysers (not sure why they bother on the map to call them “African” geysers…I mean, what’s the difference between African geysers and all the other kinds of geysers?) as well as some animal pastures, featuring animals like the Bangteng, which were featured in the 1998 version. Note also, next to that red bullet-shaped thing at the top, the second boat dock would have technically been on the African side of the park. Upon stopping at/leaving the African dock, the boats will then pass through a bird sanctuary (or, as it’s labeled on the map, “Birdland”). 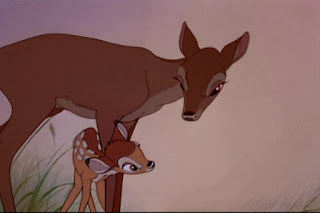 …Apologize to toddlers everywhere for that scene in Bambi. That’s what I was going to say. 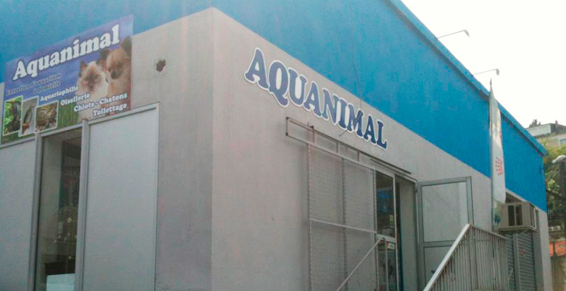 We cruise past the “floating fountains,” which were featured in the video of the 1998 version, and then across from Theater in the Wild we enter into the “Aquanimals” section, which has me really giddy because I have no idea what this means. Are we going to go underwater? Are dolphins and whales going to leap into the sky on our skipper’s cues? Who knows? 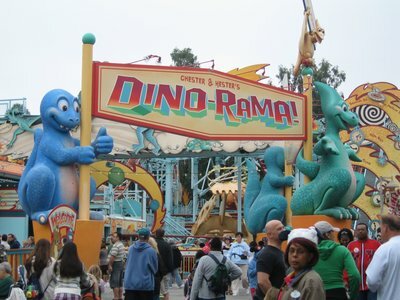 Finally, we pass the Dinoland section, which would of course feature some form of Animatronic dinosaurs at the river’s edge, before we return back to Safari Village. That was fun! What I like about this version is that it just builds on what is already there. It has the exact same ride layout as the eventual 1998 version. But the Imagineers packed it with interesting things. As I said at the start of the article, transportation attractions are fickle things. You either have to A) Provide lots of interesting things to look at, or B) Make the transportation itself the attraction, or C) Both. An example of B) would be the Skyway and the Monorail. The real hook for these rides are the fact that you’re riding in an actual sky bucket and monorail (this is also why, for example, the gondolas at the Venetian Hotel in Las Vegas remain to be popular but the Luxor Hotel’s old Nile River Cruise was in operation only slightly longer than the time it will take me to finish this sentence. The gondolas are unique, and fit the atmosphere of the Venetian perfectly). An example of A) would be the Grand Canyon Diorama / Primeval World section of the Disneyland Railroad. An example of C) would be the PeopleMover, which is an attraction in itself but also features show scenes and some interesting visuals. The Discovery River Boats are just that. Boats. There’s nothing special about them. So, in order to make them special, and interesting, you have to make the show scenes interesting, or else you’ll have a very bland and tedious attraction that simply moves guests from point A to point B. With a low capacity, this is not conducive to successful entertainment. But the original version packs interesting details into every section of the ride. 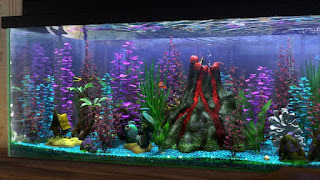 The Dragon encounter, the Kraken, the Unicorn, the geysers and fountains, the birds, the deer, the aquanimals, the dinosaurs. All of these elements would give guests something to see throughout the tour, justifying the boats as an actual attraction. In fact, this attraction as presented could have been by far the most interesting transportation attraction in all of the Disney theme park canon. It would basically be like a combination of the steam trains and the Backlot Tour, where guests would be caught in an interactive show scene at every turn. That would really have made the attraction one of the most interesting and exciting rides in the Disney theme park empire. So what happened? How did we go from chicken salad to…chicken…uh…soup (hey, it’s a Disney blog)? Well, as you can imagine, it was due to budgets (for those of you new to Disney theme park history, practically everything bad about most attractions is due to budget cuts of some kind or another. Save for Paul Pressler and friends, there’s really no one at Disney who delights in going around to certain attraction design concepts and hacking the fun out of them). The main culprit, as usual, was Euro Disney, as well as Disney’s America. Euro Disney’s failure and $3 billion debt convinced Michael Eisner and his Strategic Planning Gestapo that the Parks and Resorts division had to drastically cut their budgets , which led to Animal Kingdom’s first round of budget cuts. The second round of budget cuts occurred, curiously, because of Disney’s America. One of the biggest failures of Disney’s America was that Disney did not seek out consultation from the country’s leading historians and politicians straight away. 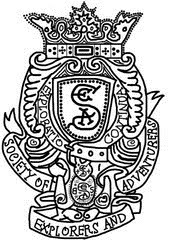 Disney took a “we’ll be just fine by ourselves” approach, which caused rampant jealousy and ill will among the elite members of America’s historical societies, causing them to verbally decimate the plans for Disney’a America when they were finally released. Eisner did not want tot make the same mistake twice, so Disney hired dozens of the world’s leading animal experts as consultants. Predictably, each of them commanded a very high consultation fee. The final, and unexpected, round of budget cuts occurred when the Imagineers realized that the backstage areas of Animal Kingdom, the areas where the animals would be kept, fed, and cared for, would cost far, far more than what was originally anticipated. Now, if this were, say, any time before 1992 (Euro Disney), Eisner and Wells would have given the Imagineers a bigger budget to both provide for the necessary backstage areas and for the full implementation of the attractions in the park. Unfortunately, now that we move into post-Euro Disney, Eisner had given strict orders to the Imagineers that they need to stick to the original $800 million budget. Which means, if there are cost overruns in one area (a certain attraction or in the backstage areas), they’ll just have to take the budget away from another area. This led to the creation of Animal Kingdom being a fantastic case study of creative engineering and budgetary planning, but as we know it did not bode well for the eventual Animal Kingdom product. The budget slashing due to the backstage cost overruns turned Animal Kingdom into a half-day park, not what Disney should be presenting to the public without showing some shame for it. And the Discovery River Boats were a microcosm of what happened to Animal Kingdom (I’ll be detailing Animal Kingdom’s budget cuts in more detail in a later article). As we know, the Discovery Boats lost their deer meadows, bird sanctuary, and aquanimals. The many dinosaur Animatronics were whittled down to one, specifically, an Aladar figure to promote the soon-to-be-released Dinosaur movie. When Animal Kingdom lost Beastlie Kingdomme, the boats lost their Kraken and Unicorn. Sources say that Joe Rohde begged and pleaded with Michael Eisner to just keep the dragon. Even by giving up the rest of the farm, the dragon was like the prize racehorse, the derby winner, the one that would justify the farm’s continued existence. Even with so many elements of the attraction stripped away, it’s very possible that, leaving in the original AA dragon, the Discovery Boats could have at least survived until now with that one “must-see” element. But Eisner wouldn’t have it. He said the Imagineers had to stick to the budget, no exceptions. 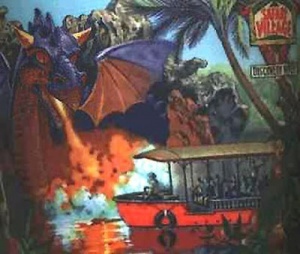 And so the once mighty roar of the Discovery River Boats were turned into a whimper, as the full figured dragon became just a growl, smoke, and fire effects. As I’ll detail in a later article, Animal Kingdom is one of the most fascinating cases of theme park budgeting. When you are given a budget, and are held to that budget, what do you cut first? Do you cut entire attractions, or just portions of those attractions? Would you rather have 10 “B+” rides or 7 “A-“ rides? How would you prioritize which attraction gets cut first? I think it’s a fascinating business case study. So, do you think Disney should have just cancelled the Discovery Boats and folded its budget onto something else, like a new attraction in Dinoland? Or perhaps a bigger budget for Asia? The problem is, Animal Kingdom has such few attractions to begin with, and you’re slashing capacity even more by canceling the attraction. So do you just open a half-basked attraction for capacity’s sake and hope the general public just yawns it off? Is there even a right answer? One of the most intriguing Disney “what would you do’s?” of today is “what would you do with the Discovery River Boats?” Would you re-open it? Replace it with something new? It’s a very tough question. On the one hand, the infrastructure already exists, so it would be easier to just add figures/scenes/animals/whatever to what’s already there. But, on the other hand, you can’t really change the attraction. After all, you can’t really change the river. So, you can’t really make it that much different. That’s an issue. You’re also left with the same problems from before. Do you make it a clear transportation attraction to keep the line down (though the lack of things to see would raise the same issues as before)? Or, do you make it into a full-fledged attraction, which would not provide the service of transporting guests from one side of the park to the other? Given the poor reception it received upon opening, it seems like a no-brainer to keep it closed. Yet, Animal Kingdom is sorely lacking in the capacity department (doesn’t help those Per-Caps any), and could use an atmospheric B or C Ticket (or two, or three) in the Peoplemover/Motorboat Cruise mold. Wouldn’t the answer be not to shut down the boats, but to offer more such rides? 1 Make it a strict transportation attraction. To do this, add a third dock somewhere between Harambe and Pandora. Work on increasing the capacity as much as possible. Since this will still be an open-air boat experience, do what you have to do. Make the boats smaller to allow for faster loading and unloading, make the boats bigger to provide for separate entrances and exits, drastically increase the number of boats, whatever. Use it strictly for transportation purposes. Like the steam trains, no one should have to wait more than 10 minutes for the experience. To enhance the experience, you could provide a more interesting transportation method (glass-bottom boats? It’s the return of the aquanimals! ), or add more animals to the surrounding habitat, or add some show scenes around the track with scenes from the Lion King, Jungle Book, Bambi, whatever. Pandora’s there too. Sky’s the limit. 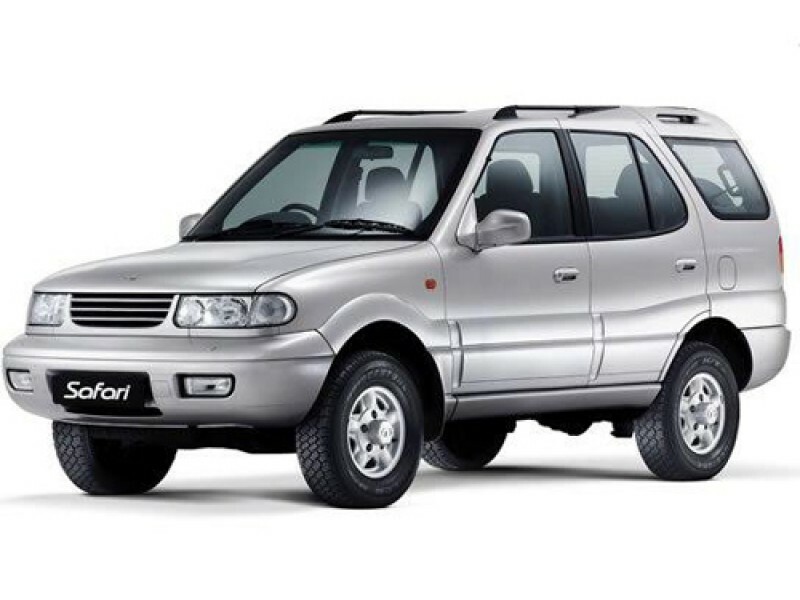 2 Make it a full attraction, round-trip excursion. Eliminate the Spaceship Earth effect by using the Asia dock as the load/unload. You could do quite a lot with this: provide a traditional Disney “tour” type of experience with emphasis on the skipper, a la Jungle Cruise or Great Movie Ride, provide a Disney character-themed cruise (a la Goofy’s Superstar Limo), etc. Along with everything mentioned in #1, you could also add temples/tunnels that would act as extended show scenes to replace the more mundane portions of the ride. 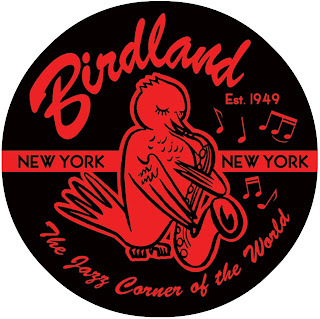 I also love the idea of “Birdland”…what if we entered a giant bird sanctuary, similar to the ones found in zoos all over the country? Kids would get a big kick out of that. 3 Build something completely non-boat ride related. Fill in portions of the river and build nature trails or attractions, or anything. Make a hover-boat ride, if that’s the big thing at the next IAAPA expo. Just do something with the land! I don’t care if it’s the second coming of the Luxor Hotel and Casino Nile River Boat Ride!